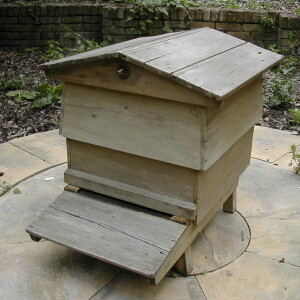 We have a large collection of Vintage Beekeeping items that can be rented. We have catered in the past for: PR Events companies, TV and Film companies, Theatre prop dressers. Also private clients staging weddings, birthdays, flower shows to name but a few. Please contact the shop if you wish to discuss what we can provide. Below are photos and briefs on some of the props for hire. £125 per day, refundable deposit of £495.00 when hive is returned, conditions apply. 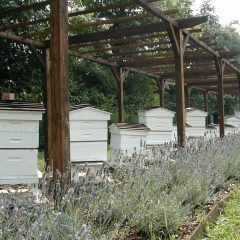 This is still a very popular Cottage hive that serves beekeepers well throughout the country. What you see are the outer lifts. 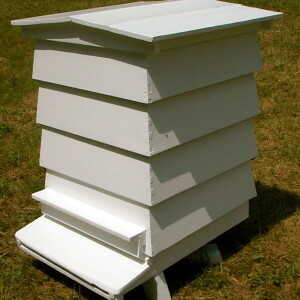 If you intend to keep bees you will need inner boxes. 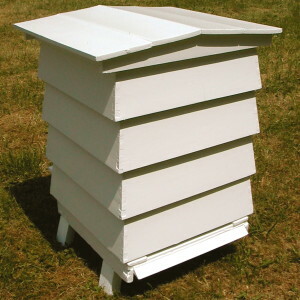 Material-Made of pine Contains: 1x Roof, 3x lifts, 1x porch, 1 x floor/stand. £85 per week, refundable deposit of £495.00 when hive is returned, conditions apply. £45.00 per day, refundable deposit of £695.00 when hive is returned, conditions apply. 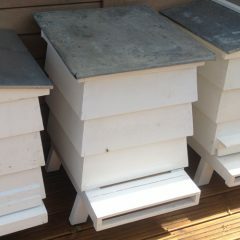 £95 per day, refundable deposit of £695.00 when hive is returned, conditions apply. 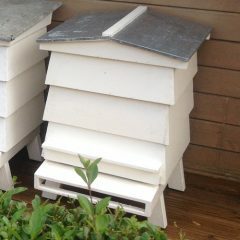 Large porch £95 per day, refundable deposit of £495.00 when hive is returned, conditions apply.